Learn about the art of Champagne. A concept thought up by the designers of the Cité du Champagne when they decided to expand on the notion of traditional museography. By associating Maison Cogevi with the Museum of Champagne's Work Crafts, they have succeeded in blending the history of viticultural techniques with the story of the oldest co-operative in the Champagne region. Even more remarkable is the third hub of this quirky town, the Villa Collet. 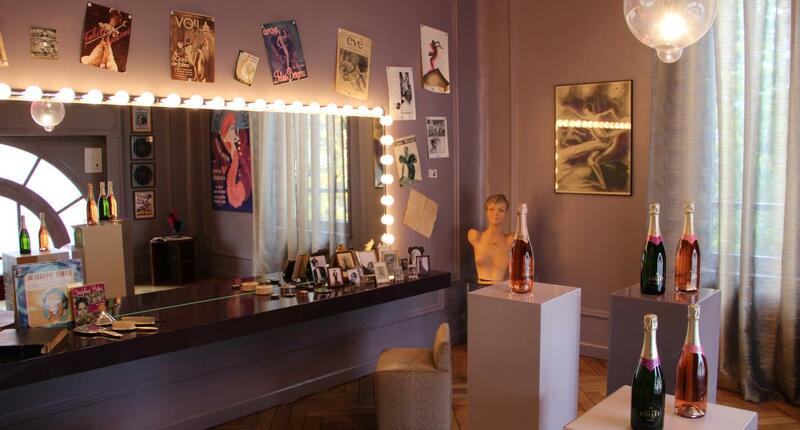 Once home to Raoul Collet, one of the original directors of the co-operative, this artistic project steeped in the Art Deco period transports the visitor back in time to the 1920's. Coming full circle. Finishing up with a stroll through the vines, you will be led to the « essors » - ventilation chimneys which are truly the 'lungs' of the underground cellars with their stock of 30,000 bottles. La Cité du Champagne won the gold medal in the 2019 Wine Tourism Awards in the "Promotion of PDOs & Institutions" category.